THANK YOU VERY MUCH! We exceeded our goal thanks to so many generous people who kept on donating. We just wanted to thank you all and update that we reached our goal and beyond, we are extremely thankful and wish you all a great 2019! UPDATE: Since we are so close to filling each pig's stocking we transformed it into a New Years theme, we are extremely thankful to all of our supporters who have already made this a great fundraiser, any amount counts and thank you very much! 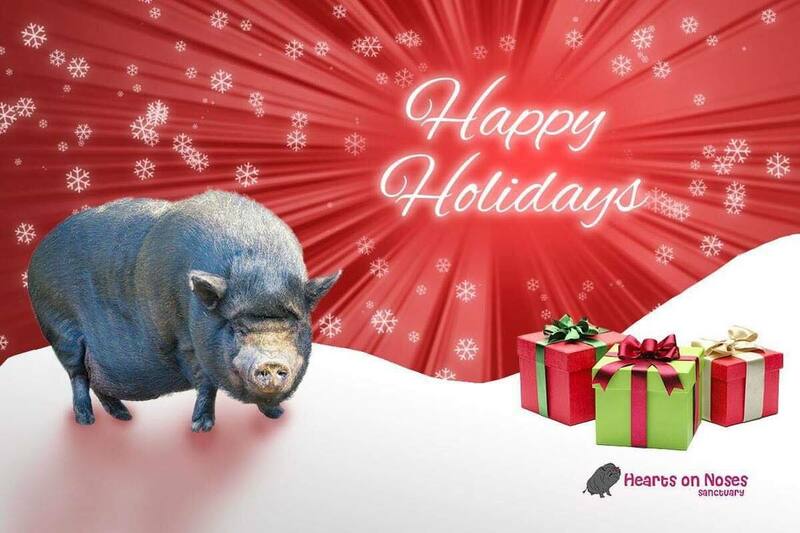 Happy Holidays to all our supporters. 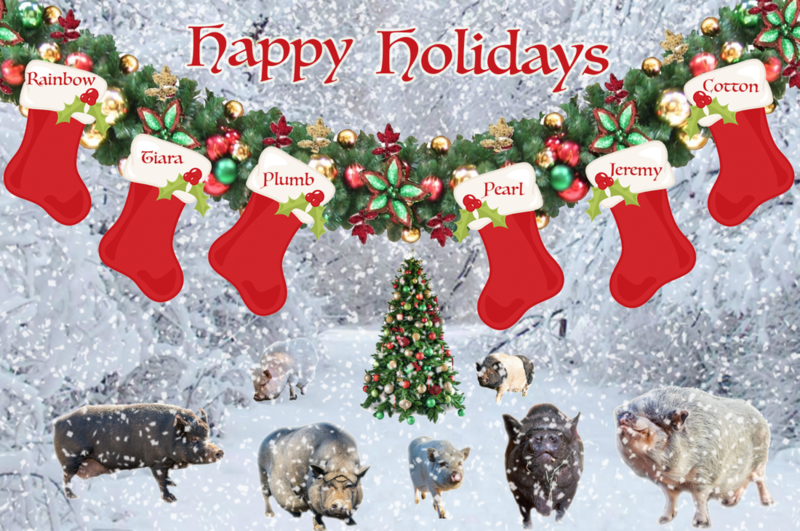 Each of our pigs has a stocking and they are asking for $100, we have 43 pig residents and you can click on any pig to donate in their name, any amount helps to fill their stocking $5, $8, $12 we are grateful for every donation. Once the pig has achieved their goal we will update the chart (in green) as well as the collective fundraising process. The funds raised goes towards their care (food, bedding, veterinary care etc). Please mention in the donation for which resident (by their name) you are donating for. You can follow their collective progress as we will update every few days. Please find the direct link to Canada Helps where they issue you a tax receipt, you can also do a PayPal transfer, E-Transfer or mail a cheque. 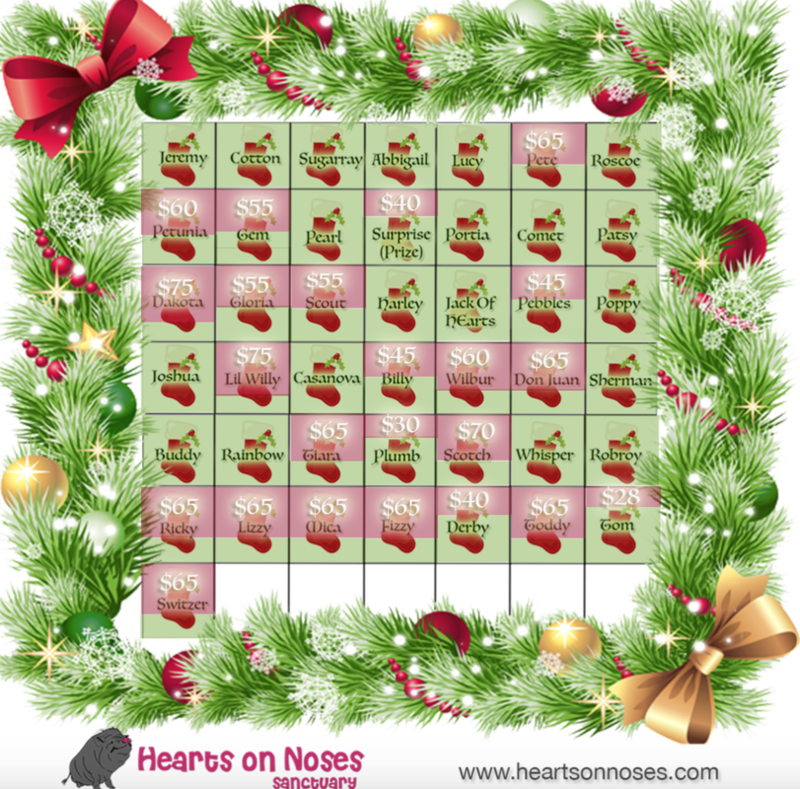 Thank you very much for supporting Hearts On Noses this season, we couldn't do it without you. This 2018 Holiday fundraiser was last updated on December 29th 2018. The picture and amounts below were the status before transferring it into the New Years Theme carried over into 2019 (see picture above) and still going strong to reach the goal. Thank you so much to everyone who has supported us.